Christmas doesn't have to be red. This gorgeous festive bouquet will tickle them pink. 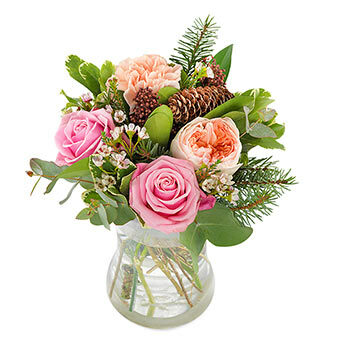 Featuring roses, carnations, pine cones and seasonal foliage. This hand-tied will be lovingly created by an expert florist and delivered by hand.